Collins opposed Trump's presidential nomination, but also voted against Obamacare in 2009. Sen. Susan Collins (R-Maine) says Trump's executive order on Obamacare is "confusing." The Trump administration will not allow 20 million people who rely on the Affordable Care Act for their health insurance to go without coverage when the law, known as Obamacare, is repealed and replaced with a new plan, a senior White House official said on Sunday. White House Chief of Staff Reince Priebus intensified the Trump administration's criticism of the news media on Sunday, accusing it of trying to delegitimize Donald Trump's presidency and vowing to fight such coverage "tooth and nail." 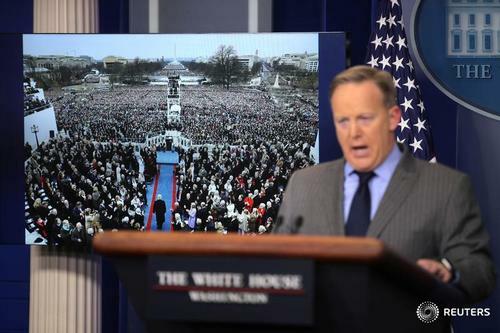 In his first briefing as White House Press Secretary, Sean Spicer lashes out at the press Saturday over its reporting of the attendance at Donald Trump's inauguration, vowing to hold the media "accountable." President Donald Trump's inauguration got a 20.1 percent share, according to the Nielsen ratings. 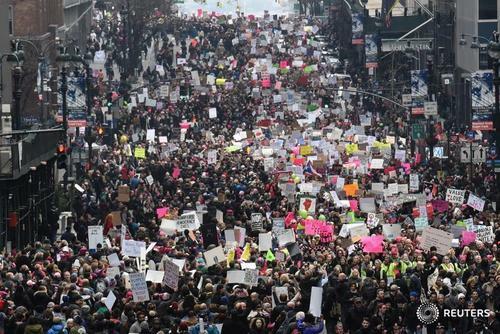 By comparison, President Barack Obama's second inauguration got a 14 percent share. But his first inauguration got a 25.5 percent share. And that was on a Tuesday. The last time a first term inauguration was as low as Trump's was George H.W. Bush in 1989. Despite what you heard at inauguration, crime is down in NYC. Historic lows. Shootings, homicides, robberies... all down. Spread the word. 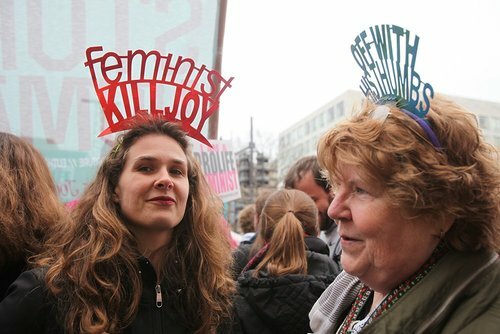 An estimated 40,000 packed the plaza facing San Francisco City Hall at the start of San Francisco's Women's March, according to Bay Area organizers. 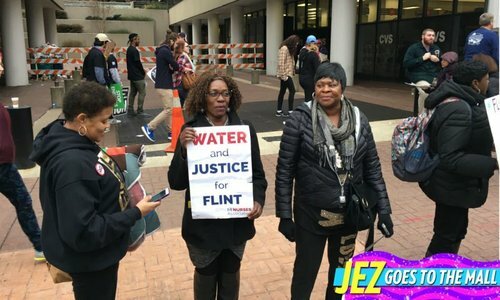 But with crowds expected to greatly exceed early figures by the end of the night, organizers passed out a leaflet asking protesters to do their part to maintain peace. 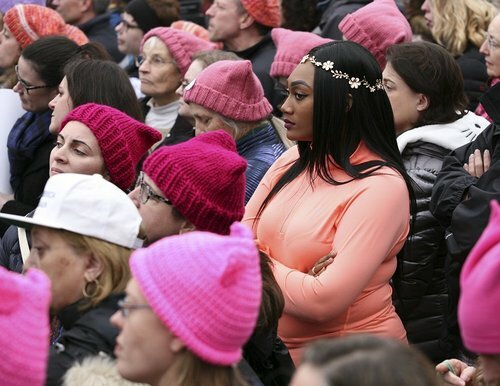 Women's March Bay Area Spokeswoman Martha Shaughnessy said the group had trained between 80 and 150 volunteers to serve as peace ambassadors and to support crowd control at events in San Jose and Oakland in addition to the San Francisco march. In San Francisco, a committee dubbed "crowd cuddlers" was tapped to usher VIPs such as Congresswoman Nancy Pelosi and folk singer Joan Baez from the stage to a green room set up in the Asian Art Museum. 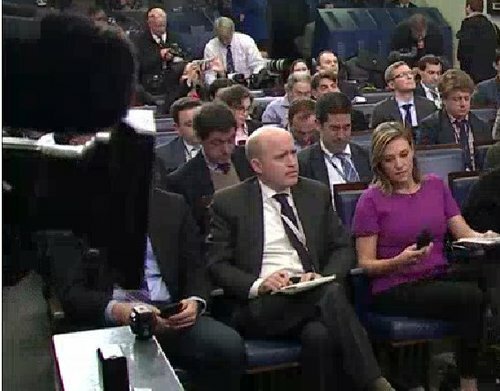 In the Trump administration, the press secretary will ask the questions and the reporters will be forced to answer them. Spicer: "This was the first time... that floor coverings have been used to protect the grass on the mall." 1. Spicer (& Trump) are skilled at what we used to call “the spread” in high school debate. Make a lot of dubious arguments really fast. 2. Buried among the many bad arguments there are usually a few grains of truth, i.e. examples of stories the media really did screw up. 3. This is challenging to deal with. You can be 85% right and a skilled debater can usually pivot the conversation to the 15% you got wrong. 4. In general, the correct response is to disengage and not let the other guy dictate the terms of the debate. 5. Still, this gets into some hiccups for how the press evaluates itself. There can be too much focus on narrow truth vs. broader truth. 7. Sometimes the reverse is true also. In a well-reported story, the conclusion should hold even if some nonessential details are wrong. 8. I have no foolproof solutions, but a more iterative approach might help? Build on prior knowledge but be ready to revise conclusions. There has been a lot of talk in the media about the responsibility to hold Donald Trump accountable. And I'm here to tell you that it goes two ways. We're going to hold the press accountable as well. The American people deserve better and as long as he serves as the messenger for this incredible movement he will take his message directly to the American people where his focus will always be. 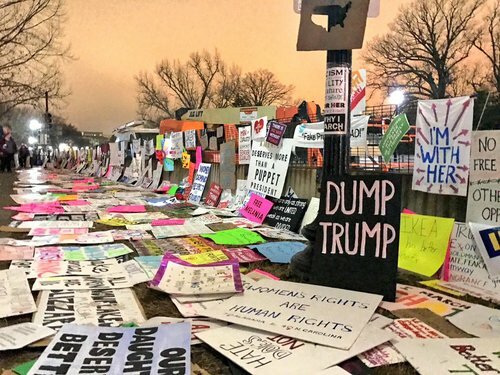 "Photographs of the inaugural proceedings were intentionally framed in a way in one particular tweet to minimize the enormous support that had gathered on the mall." No one had numbers because the national park service, which controls the national mall, does not put any out. By the way this applies to any attempt to count the protesters in the same fashion. From the platform where the President was sworn in to 4th Street holds about 250,000 people. From 4th Street to the media tent were about another 220,000 people. And from the media tent to the Washington Monument another 250,000 people. All of this space was full when the President took the oath of office. 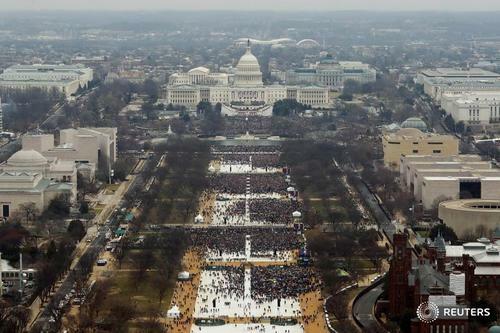 We know that 420,000 people used the DC metro public transit yesterday, which actually compares to 317,000 people who used it to President Obama's last inaugural. This was the largest audience ever to witness an inauguration, period. Both in person and around the globe. White House tradition: President yells at chief of staff. Chief of staff yells at press secretary. Press secretary yells at the press. On Sunday, said @PressSec, Pres Trump will attend the swearing-in of his top aides, who'll then be briefed on ethics & classified material.